Je veux voir is something in between a documentary and a movie. The idea for the film came from the helplessness of the filmmakers to see how parts of their country were destroyed in a war that lasted only 1 month. They wanted to have a look at the destruction. They wanted to see for themselves and let others see. To do so, they decided to have the icon of French cinema, Catherine Deneuve, and a famous Lebanese actor, Rabih Mroué, visit Beirut and the South of Lebanon together. Seeing those two strangers together in a car is quite awkward at first. He is afraid of what he will see. Rabih spent his childhood in the South where his grandmother lived. Now everything is destroyed but not all the destruction they see is new. A lot is still from the civil war. The Lebanese had never really had the time to fully rebuild their houses. It is quite surreal at moments to see a woman like Catherine Deneuve in these places. They have odd conversations about putting on a seat belt or not, which is not important to Rabih. Not anymore, as he says. Since the war such details have lost their importance. During their trip Rabih often repeats things Catherine says or once said in a movie in Arabic. They have to be careful as there are cluster bombs everywhere and once they stray from the path, everybody is in uproar. At one moment Israeli jets pass over their heads and Catherine Deneuve nearly freaks out. She thinks they are under attack. But no, as Rabih explains, this is a common procedure. Israeli jets often break the sound barrier to induce fear. But they also take pictures. Frankly, as short as it is, I found it boring at times and Catherine Deneuve´s lack of comprehension was a bit exasperating. But the end was good and I was glad I watched it. Still the film ends on a positive note. The two strangers have become friends and the oh so impassive actress smiles one of her rare smiles when she sees Rabih again in the evening at a gala. 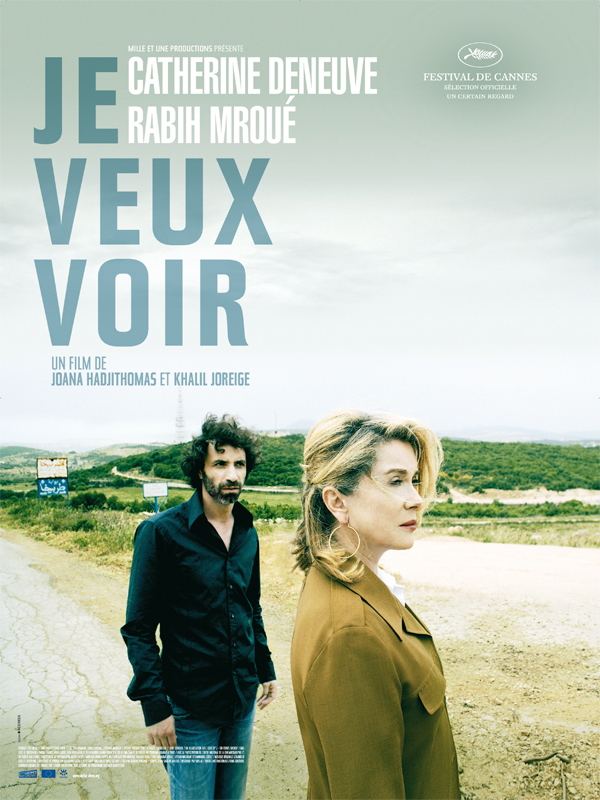 This entry was posted in Actors, Documentary, History, Movie, War in Lebanon, War Movie and tagged Catherine Deneuve, Documentary, History, Lebanon, Movie, Rabih Mroué, War in Lebanon, War Movie.